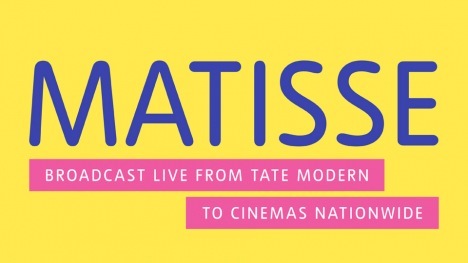 For the first time ever, we are broadcasting live into cinemas around the country with an exclusive film about the Henri Matisse: The Cut-Outs exhibition at Tate Modern. At this one-off event, you are invited to enjoy an intimate, behind-the-scenes view of this blockbuster exhibition with presenter Francine Stock and Tate Director Nicholas Serota, plus breathtaking new performances by Royal Ballet principal dancer Zenaida Yanowsky, and jazz musician Courtney Pine. British actor Simon Russell Beale brings insight and emotion to the words of Henri Matisse himself; whilst actor Rupert Young provides the film’s narration. This will be complemented by interviews with art experts, friends of the artist, and rare archive footage of Matisse at work. From snow flowers to dancers, circus scenes and a famous snail, Tate Modern’s unique exhibition brings together a dazzling array of 120 Matisse pieces from around the world. Bold, lively and often large scale, the cut-outs are a joyous celebration of colour and shape. A giant of modern art, this landmark show explores the final chapter in Matisse’s career as he began ‘carving into colour’ and his series of spectacular cut-outs was born.